Food and travel are inextricably linked, and the quality of the cuisine at a hotel restaurant is undoubtedly a consideration when choosing where to stay. Dining spaces may differ, but the very best all offer a lasting memory created with the finest ingredients, inventive preparation and impeccable service. Our members found the following three hotels to have those attributes and more. Even in Paris it’s hard to compete with four Michelin stars, which is what the 190-room Le Bristol boasts between its one-star brasserie, 114 Faubourg, and its three-star Epicure. A self-described “temple of gastronomy,” Epicure serves French haute cuisine in a light-filled dining room overlooking the hotel’s inner garden. 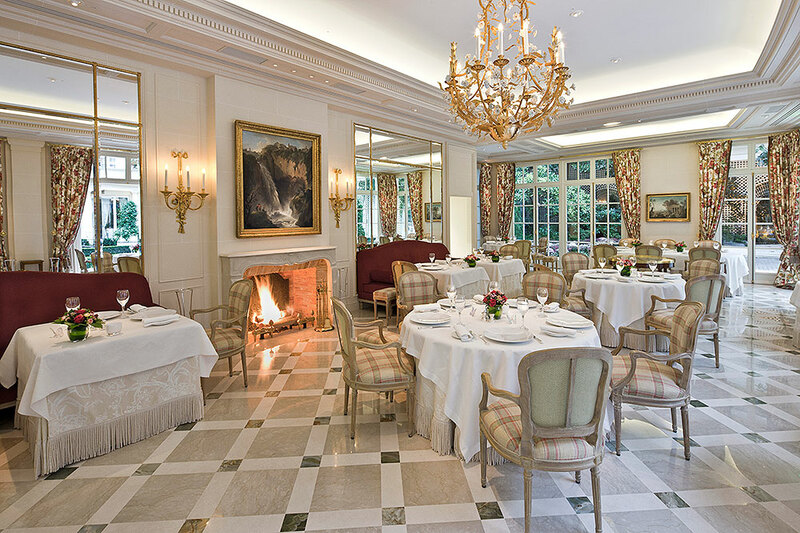 The service is impeccable, the wine list is sensational and chef Eric Frechon’s menu is inventive and ever-changing. The dish people cross oceans for: macaroni stuffed with black truffle, artichoke and duck foie gras. A major draw of Blackberry Farm is its celebrated “Foothills Cuisine,” that is, Appalachian ingredients prepared with a refined Southern sensibility. Chef Cassidee Dabney oversees the James Beard Award-winning restaurant, The Barn at Blackberry Farm. Menus are crafted with sustainability in mind and highlight the produce and products that are harvested on the property itself. Guests who want a more relaxed experience can enjoy farmhouse-inspired food from The Dogwood at Blackberry Farm. Oenophiles can request one of the more than 160,000 bottles in the wine cellar. When it comes to views, it doesn’t get any better than the breathtaking seascape visible through the floor-to-ceiling windows at Sierra Mar. 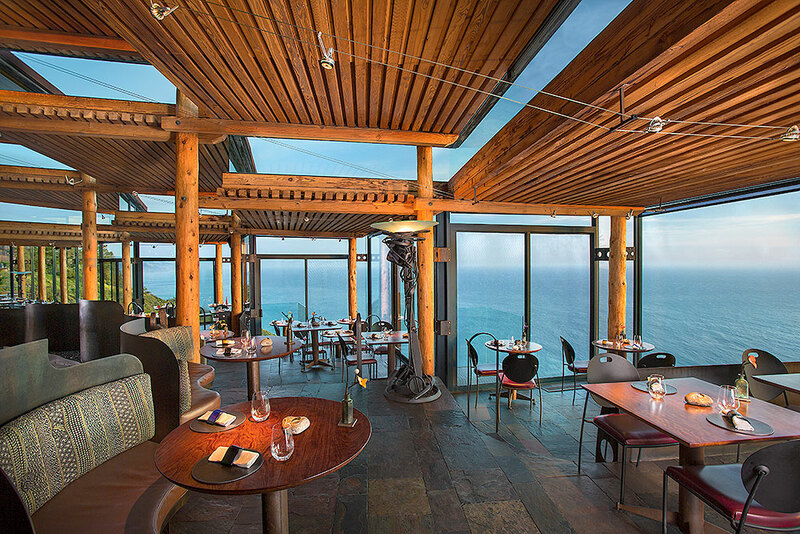 But chef Elizabeth Murray’s cuisine still outshines the dreamy Big Sur vista. Artfully composed dishes starring the area’s bounty of ingredients might include Morro Bay oysters topped with flowers from the restaurant’s garden; pan-fried abalone with basil, lemon and capers; and carrot cavatelli with sesame and spiced yogurt. 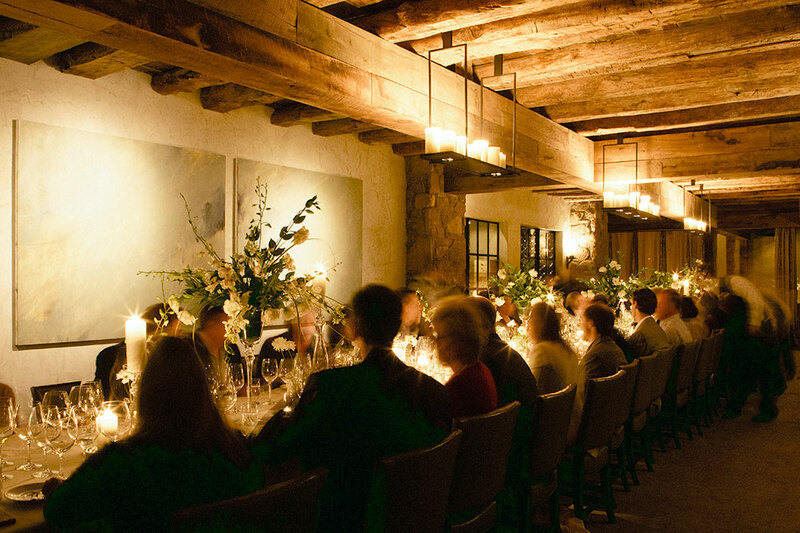 The restaurant boasts a 14,000-bottle-strong cellar and is a winner of Wine Spectator’s prestigious Grand Award.